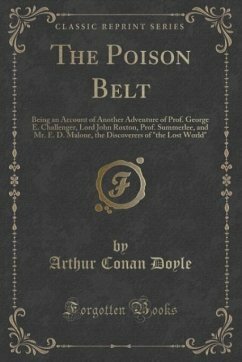 The Poison Belt was the second story about Professor Challenger following The Lost World. 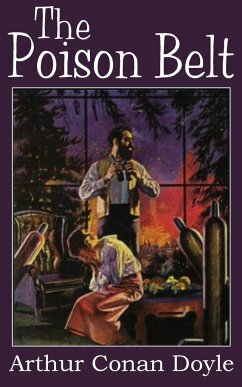 Challenger sends telegrams asking his three companions from The Lost World - Edward Malone, Lord John Roxton, and Professor Summerlee - to join him at his home outside of London. The telegrams instruct each to 'bring oxygen'. 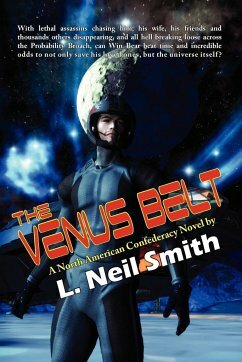 Upon arrivan Challenger tells them of his prediction that the Earth is moving into a belt of poisonous ether which will cause the end of humanity.